I'm surfing on endorphins, I hit a really big wave. Oh it's such a shiny day, the kind of day you want to save. 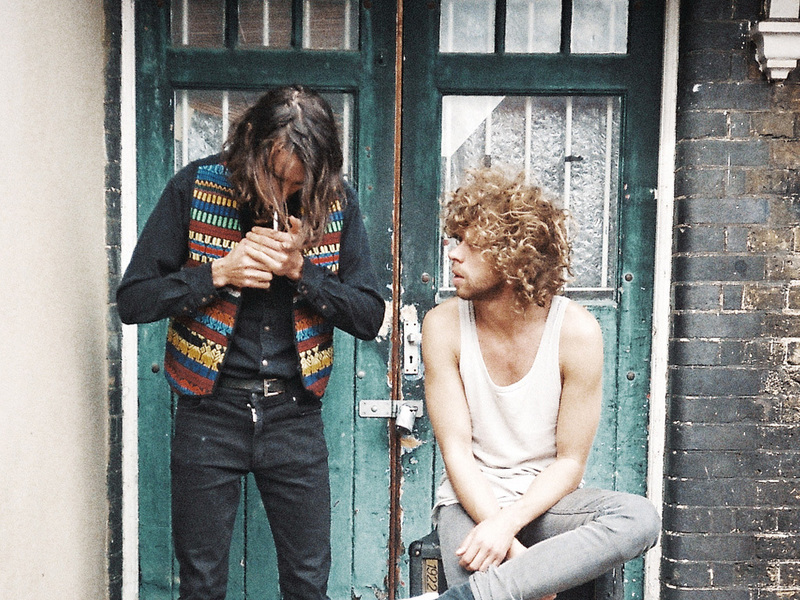 Reptile Youth is a post pop/punk/electronic duo from Denmark. The band was founded in 2009 by Mads Damsgaard Kristiansen and Esben Valløe. In 2010 the band received fame after doing the longest China Tour ever for a Danish band. In 2011 the band expanded with the drummer, Emil Vissing Christiensen, and build up an even bigger hype by playing their intense live show at big festivals and venues as the only band without an actual release: Iceland Airwaves, Reeperbahn Festival (Hamburg, Germa- ny), Montreux Jazz Festival (Switzerland), Wavves Vienna (Austria), Sonic Visions (Luxemurg), Unit Tokyo (Japan), SPOT Festival and Roskilde Festival (Denmark). In 2012 the band transmogrified into a new form, under the name of Reptile Youth. Expanding their stage presence with guitarist Mads Bergland and Emil Vissing on drums, the band continues to tour out of their Copenhagen headquarters - a city with a well known high-octane live band scene. 2012 also saw Reptile Youth’s hotly anticipated debut album released to the world. Capturing the raucous kinetics of their live shows, the LP is set to stun. The album has been produced in London with star producers Dave M. Allen & Mark Ralph. Allen famously produced legendary bands like The Cure, Sisters of Mercy and Human League, while Ralph sat behind the desk for the Filthy Dukes, re-mixed Lady Gaga and produced the new Hot Chip album.